David Poxon selected for Albania Biennial Jury. David has been chosen as the representative for England on the Albania Biennial 2019 Exhibition jury. The exhibition will be staged in the Tirana National Museum. Albania Biennial runs from 20th to 30th September 2019. 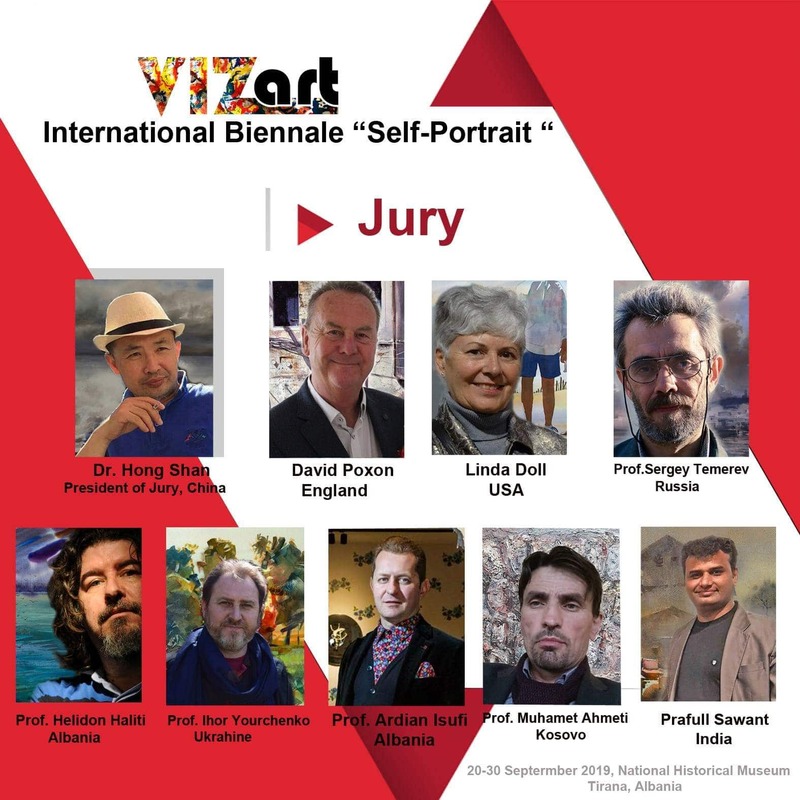 David will serve on the Biennial jury with other world famous watercolour painters. David’s 190 page book ‘Watercolour Heart & Soul’ was published in 2018. It has been greeted with much enthusiasm in Eastern block countries especially Albania. Available at all good book stores, from The SAA, Amazon Books, Diverti Books France. You can order direct from the shop link on this web. Included in the Albanian Jury are David Poxon RI, NWS. Dr Hong Shan , Helidon Haliti (Albania), and Professor Ihor Yurchenko (Ukraine). Prof Ardian Isufi (Albania), Linda Doll USA, Professor Sergey Temerev from Russia, and Prafull Sawant (India). Helidon Haliti will represent Albania at the important International Watercolour Masters exhibition at Lilleshall Hall England in 2020. He will exhibit alongside English Master David Poxon and 39 other watercolour stars from around the world. IWM2020 is being curated and organised by David Poxon RI and supported by The Saa. Watercolour art has seen rapid growth in Albania in recent years. David Poxon original paintings are avidly collected. He has works in important collections world wide including New York, Los Angeles, The Asian Museum of Art China. Sales of his fine art giclee prints have seen a dramatic rise in recent years. Albanians are big fans of the traditional English school. Historic English Master painters like J M W Turner, Thomas Girtin, David Cox, and Walter Langley are very popular in Albania. Likewise historical Master USA artists Andrew Wyeth, Winslow Homer and Thomas Eakins are also well known and respected. Therefore it is a great honour for David Poxon to be chosen to represent England at this momentous exhibition. Albania Biennial is at Tirana’s National Historic Museum in September 2019.